Full scratchbuild model that was 3 years in progress and won overall on Crystal brush 2015 in Chicago. At last he appeared here!!! Excellent work!!! 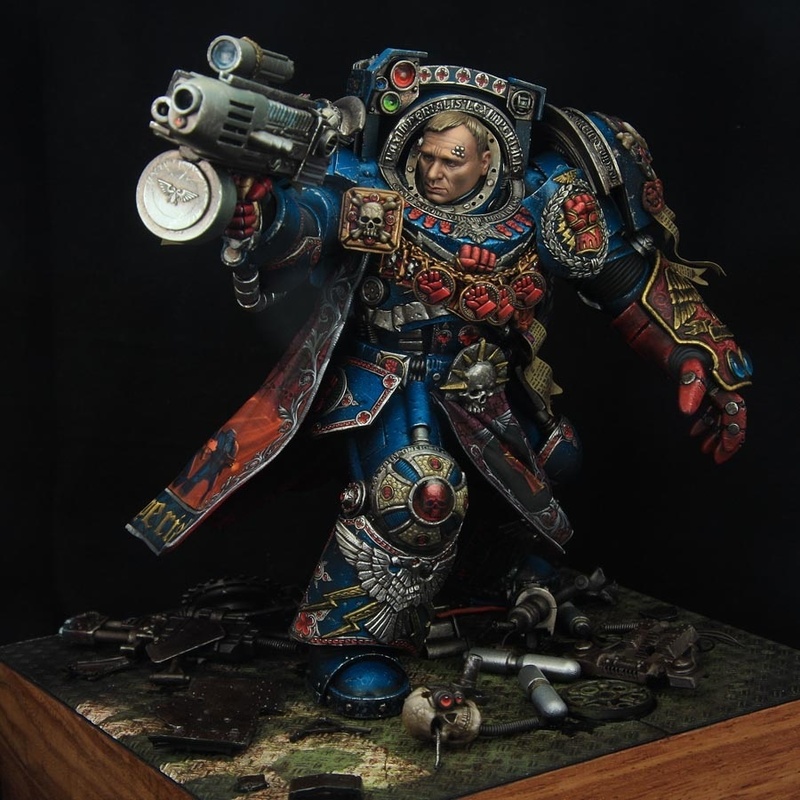 Incredible in both painting and sculpting. Beautiful piece of art . this made me speechless. 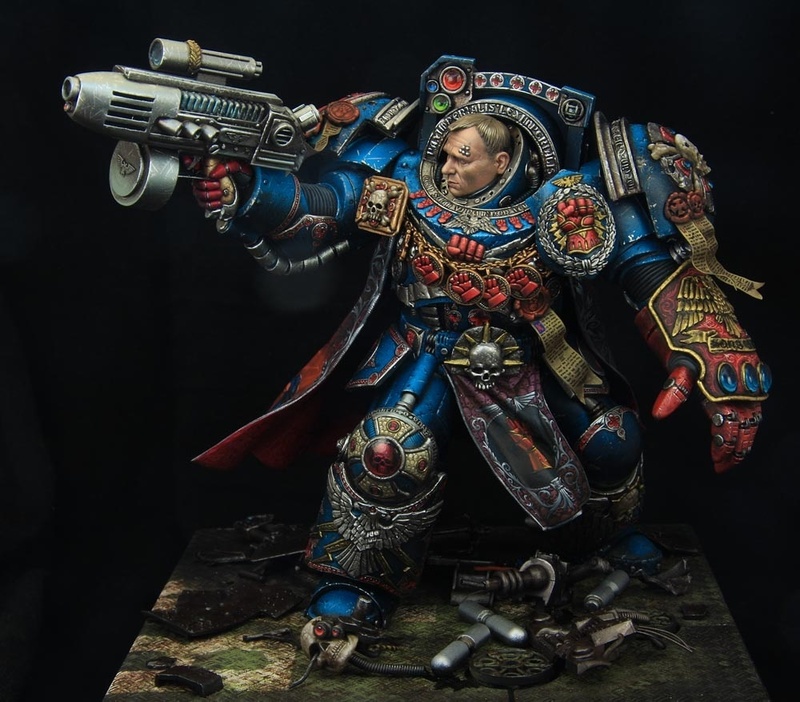 You put Daniel Craig into a terminator armor, flood him with insane Freehands and realistic textures and so you created a beautiful piece of art. I am speechless. What a fabulous artwork! Just awesome! i wish i could vote somthing better than gold! something like platin covered in diamonds hidden in a pot of gold! A truly awesome piece of work! Very inspiring. Every millimeter on this figure is a piece of art…This is one of the most wonderful miniatures that I ever seen. Wonderful details - GREAT ! 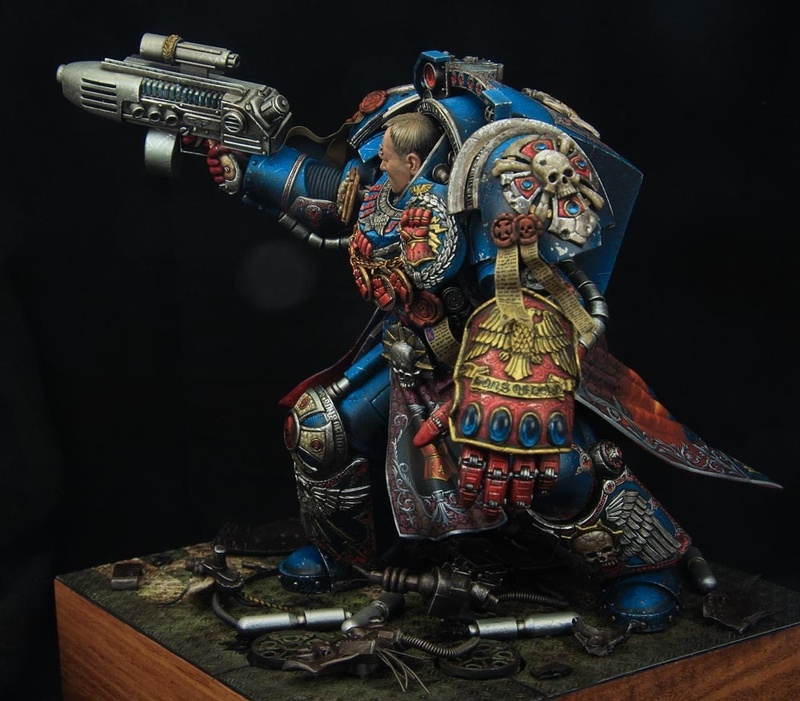 Simply put, a testament to the culmination of a decade of incredible advances in miniature painting, embodied in the form and function of one perfect in its own imperfections miniature. You know that one piece that elevates the artist to god- like status? You, my friend, have this and forever afterwards no matter what happens in the Universe, you will be heralded as a painting god. You’re real artist, one of the few in this hobby. 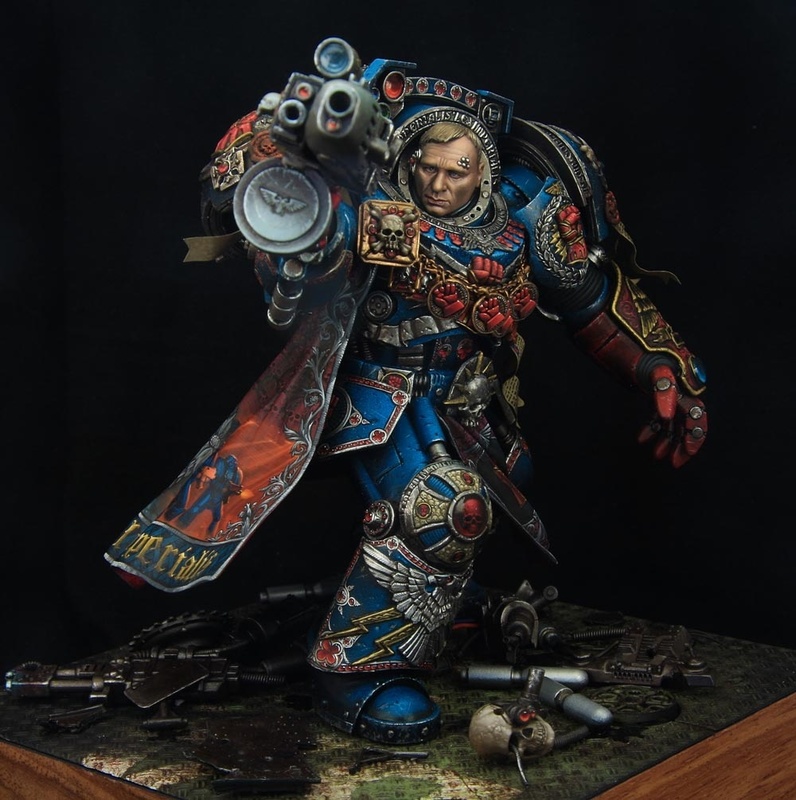 This model is truly work of art. So much character, so much mood, so much skills. Damn, you’re great painter, Kiriil! All I can say is “wow” and “congratulations”. Unbelievable art. This ia probably the best figure I have ever seen! Fantastic. insane. obviously this cannot be less than a Best of show.. This is the most insane figure I have ever seen. I thank you for your talent and for sharing this true masterpiece. Gold just doesn’t seem enough. I have just uploaded my 3rd project so am now allowed to vote. I know this has been here for some time but I have long admired it and wanted it to be the first piece I voted on. Gold, goes without saying. Absolutely outstanding mixture of real texture and colour on an unreal creation. Hey Kirill. Very, very good work. Very impressive! I would like to use your design in a cosplay. Can I please use your design in a cosplay?